We were a sub-contractor hired to redesign and build this website, our direct client for this Project is PR Consulting in Bellingham, Washington. This project was another Pacific North West project for on of PR Consulting’s clients that we were hired to build. This project was a split from a previous organization that required a new site, new servers, new corporate image and colours while maintaining links and relationships with previous partners and pages. 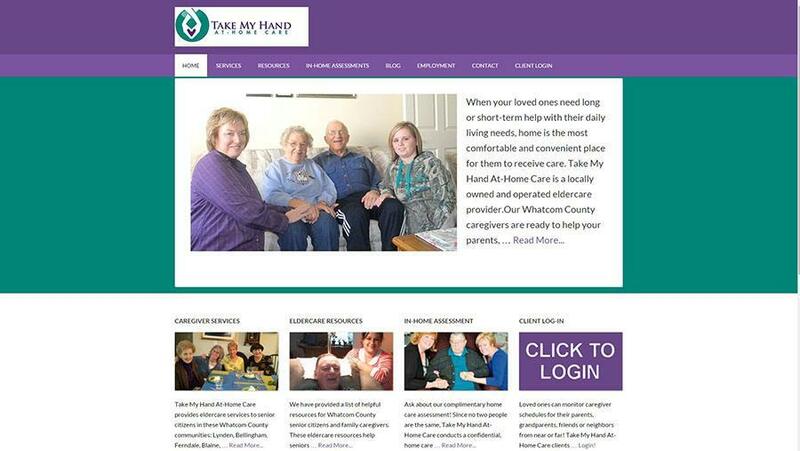 Take My Hand At-Home Care is a locally owned and operated eldercare provider in Whatcom County, WA. We reported to Patti Rowlson for this project, she has a testimonial for us on our testimonials page. This website was completed on schedule and within budget.